The Exploration Northwest crew documents the pro's and con's of the Sasquatch controversy. The famous 1967 Bluff Creek "Patterson" footage is analyzed by expert anthropologists who give opposing views. A visit to the Mt. 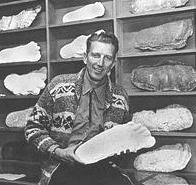 Baker region yields huge footprints found by a hunter after an encounter, and McCune talks with bigfoot-researcher John Green. Washington State Patrol Trooper Mark Pittinger: “The animal came down the hill, traveling along in here. It took one step from the shoulder to approximately the centerline, another step from centerline to the shoulder, climbing diagonally up this embankment [across the road] here. At no time did it drop to all fours or anything like that. 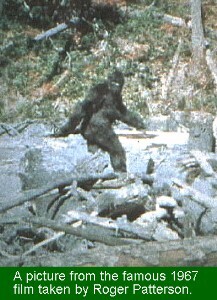 It just walked diagonally on two legs up to the top of the hill.” Originally aired under the KOMO title “Sasquatch Syndrome”.